We called it a retreat because it was too modest to be called a festival. 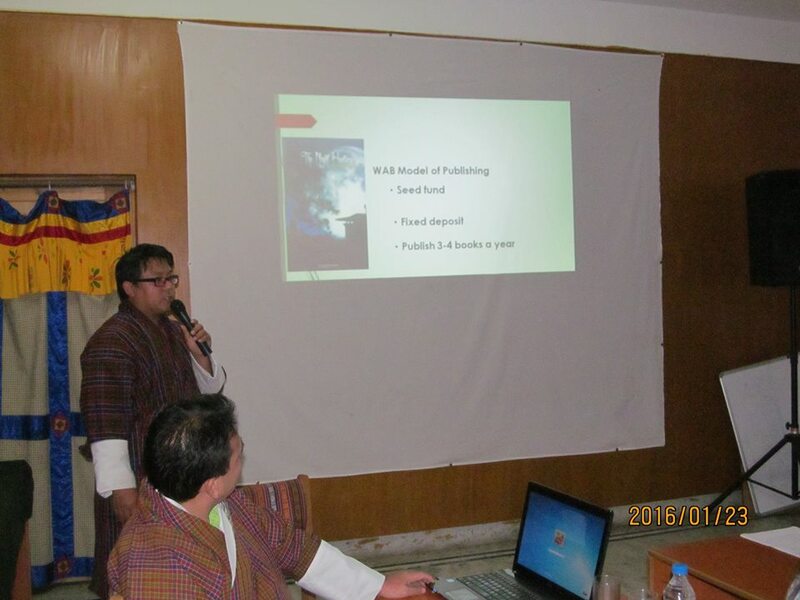 This was something we have been looking forward to since the time we founded Writers Association of Bhutan (WAB) in 2009. 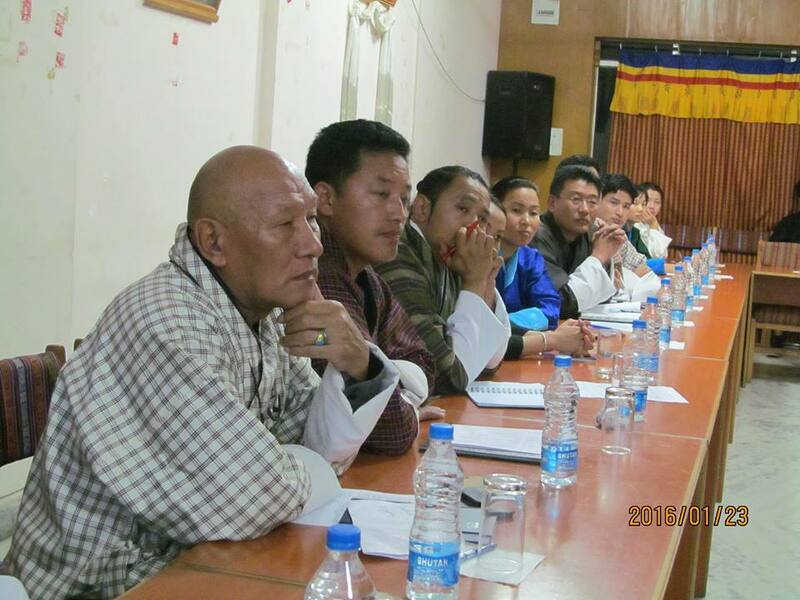 This time around we entrusted two of our prominent members in Phuntsholing to lead us. 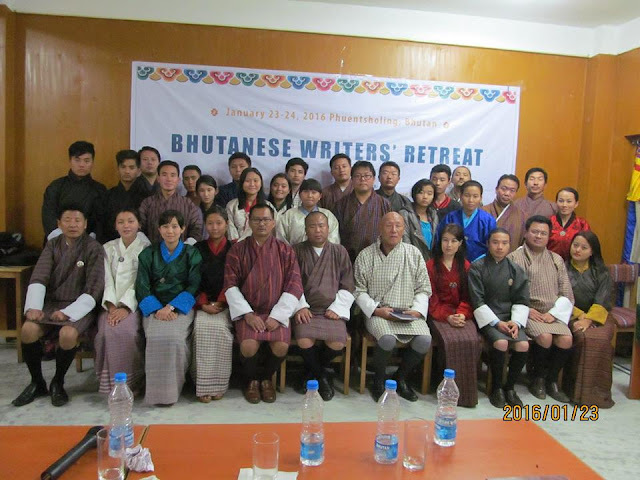 Kinley Wangchuk and Namgay Tshering took less than two months to make the first ever Bhutanese Writers’ Retreat happen. It was a distant dream for the longest time, and now it seems like we have finally found our way. Thanks to the leadership of the two men. 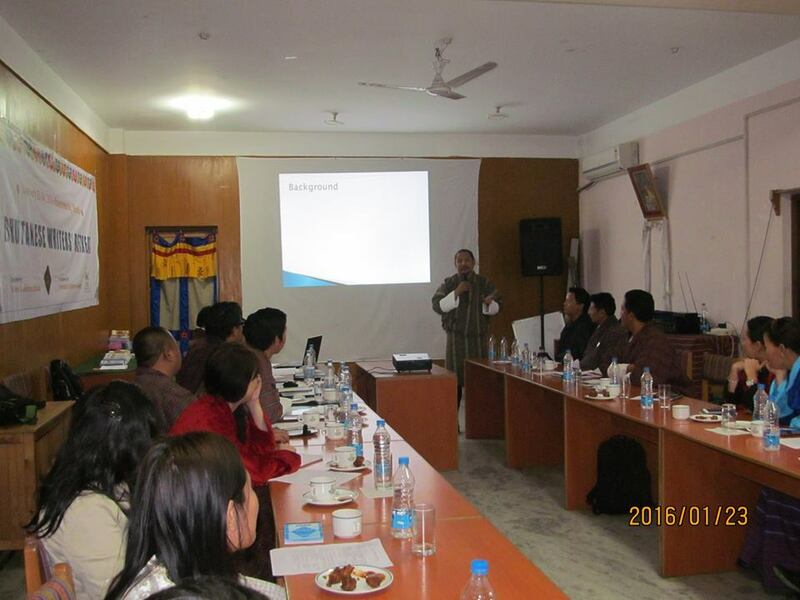 The event took place on 23rd Jan 2016 in a quiet conference hall of Centennial Hotel in the middle of busy Phuntsholing town. 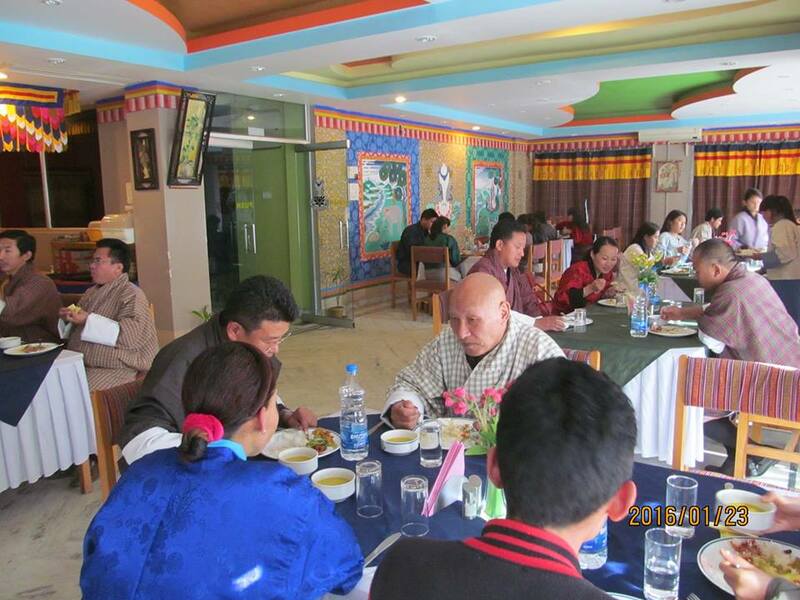 The attendance at the event was as modest as our event but quite a few people believed in us to travel from Thimphu to take part in the event while some seemed to wait till we are big enough to deserve their time. We might never make it there but if we ever do we shall remember the people who were with us during our small beginnings, who did more than just watching us struggle. It’s been years now and I know if some of our established writers showed a little faith and came together we could have already come up with something substantial to proudly call our own. In 2003 I completed my first book of short stories and invested all my pocket money into printing the manuscript. First I didn’t know where to go and second the places I went to didn’t even read my stories, and at last they threw away my manuscript. Thirteen years have passed and I haven’t published that book yet. This need not happen to any aspiring writer now. There are people at WAB who will read the manuscript and if the stories are good then we have a team to edit the story, layout the book, design the cover, find financial support for printing if necessary, and produce a book that is of international standard. This already happened with at least six new authors. With each new book we have learned better ways to do things. And the Retreat is to celebrate and showcase our team efforts because everyone at WAB is a part timer and every new author is a new team member. So at the retreat we come together to share experiences, to promote books, to have workshops on writing, editing, publishing, and book designing. It’s basically to beat the path to publication flatter. The day was overloaded but every session seemed to bring another dead cell in me back to live. That evening I threw myself on my bed in complete exhaustion but I couldn’t help smiling in satisfaction. I have never been more motivated to dust my old manuscript and dream of publishing again. Congratulations to all participants. 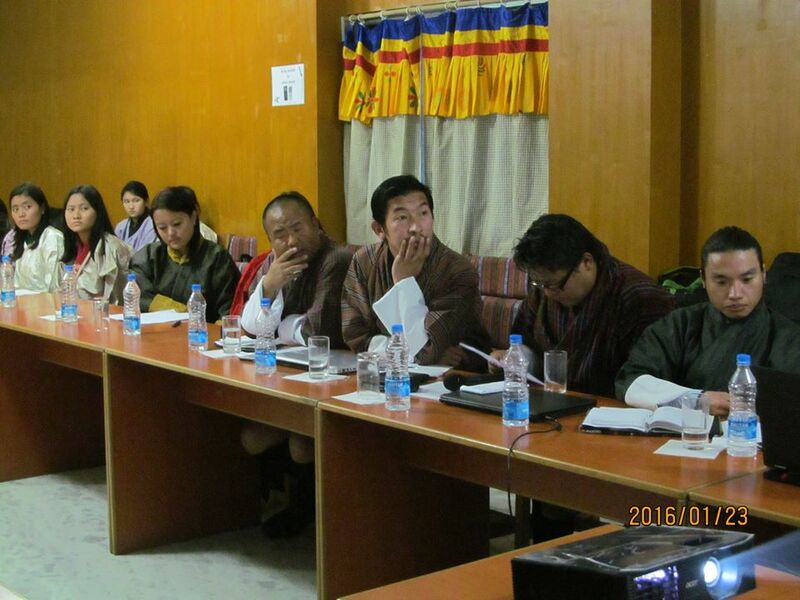 May your efforts grow to make Bhutan count in the literary world. The journey to a thousand miles begins with the first step. Your retreat was a good way to unite everyone towards the right objectives and paths. 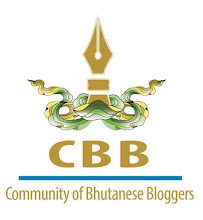 I am always impressed with the beautiful English written by all the bloggers of Bhutan. I am honored to be in the picture here in your blog. Thank you la.